Who doesn’t enjoy a good market? It was now Monday morning and the end of our long weekend in northern Puglia, but we had cunningly chosen a post-lunch train back to Rome so we could a) go explore the market and b) have a last lunch. 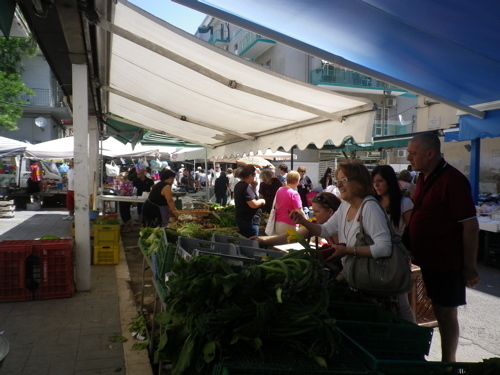 There is always a food market of sorts somewhere: we asked our B&B, braving ourselves for local buses, but the market turned out to be just five minutes walk away, on Via Giuseppe Rosati, one street over from Via Giannone. Maybe ten minutes walk from the train station. And it was an excellent market indeed. 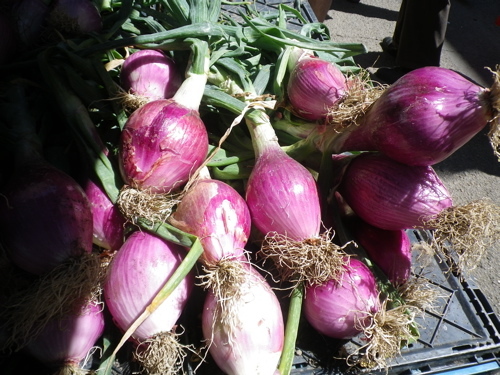 Those purple onions above were gorgous, and massive! We brought some back. It was loud and crowded, very organized though, and SO cheap compared to Rome. Produce went in little plastic baskets, that were then weighed. 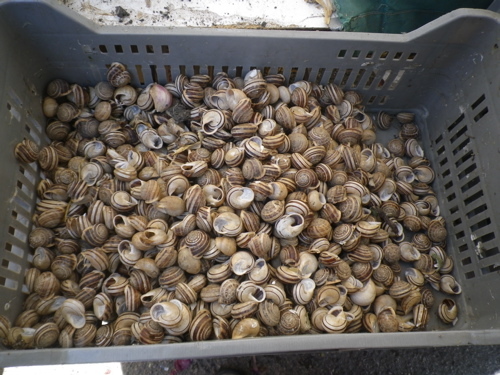 Quite a few snails trying to escape their crates. You could smell the peaches and melons, and the tomatoes, and people were so nice. 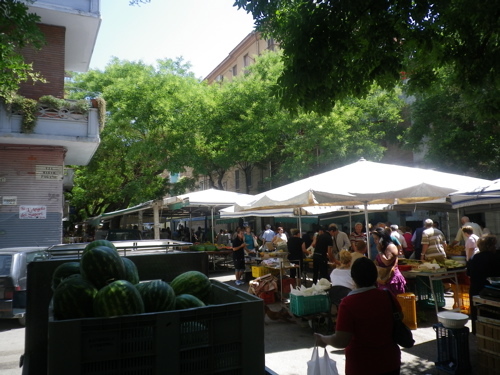 The coffee bar guy that day had proudly told us how Foggia is famous for its melons and watermelons, and we said: “Yes! We read about it! And we just went there and bought bags and bags of food to take back to Rome!” I’m disciplined about travelling light, but usually plan space for interesting food on the way home. 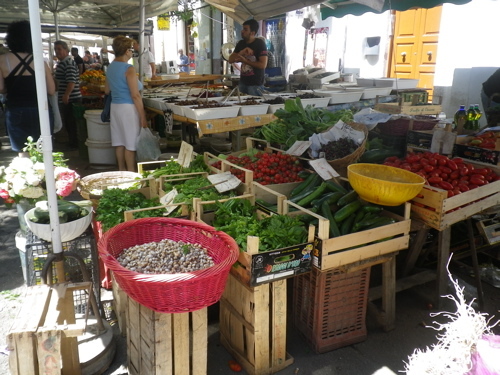 So tempting here, when there is stall after stall with wonderful fresh fruit and veg, it all looked and smelled so delicious. 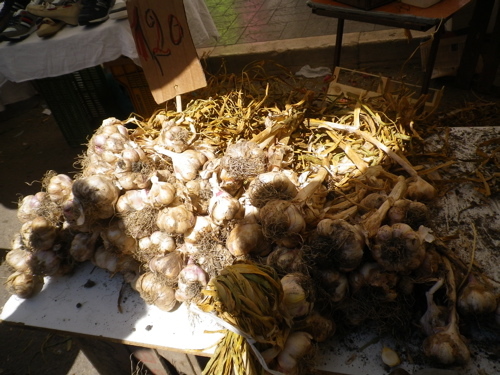 We bought beetroot, and finocchio selvatico (wild fennel fronds), and some of this fabulous freshly harvested garlic. Very pungent; must try making garlic confit this weekend. A warm Rome apartment is not ideal for storage. 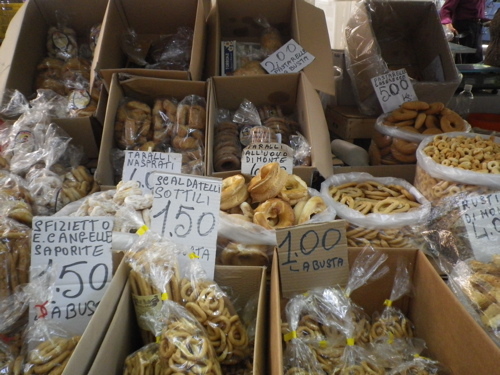 Oh yes, and we bought some taralli, of course. It’s a cracker like a breadstick or a pretzel but usually round. 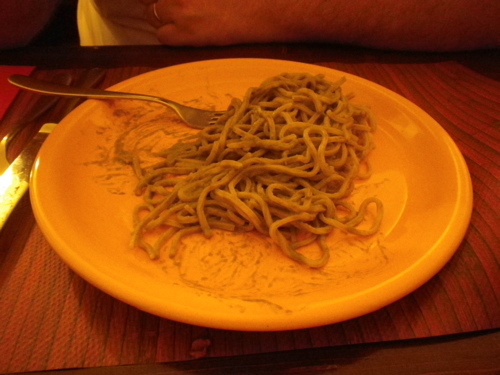 Some with fennel, some with peperoncino; they had a great selection. 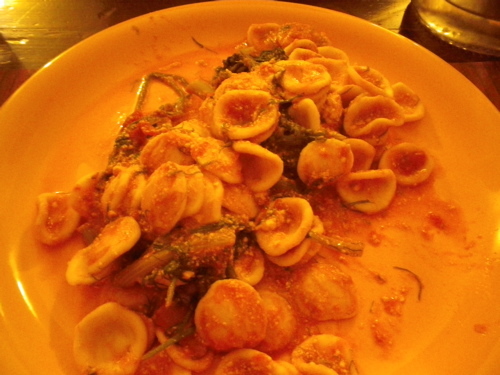 And then we went back to Osteria Numero Dieci (also close to market) for another great meal. 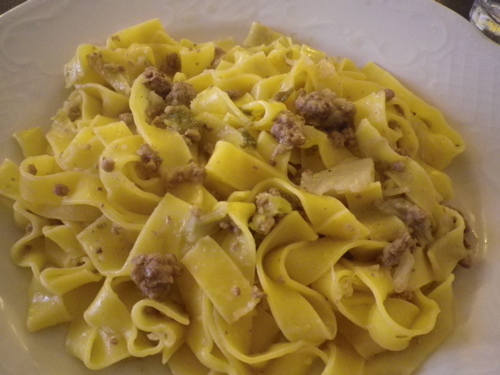 Pasta with salsiccia e verza (sausages and cabbage, really delicious!) 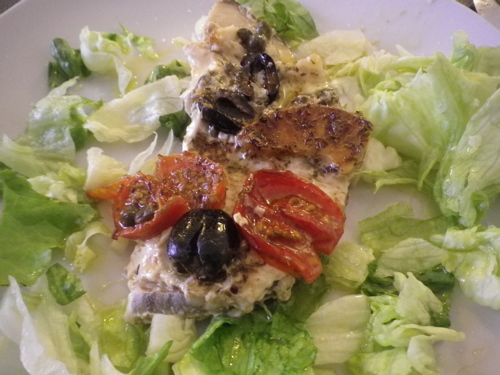 and pesce spada (swordfish) with tomatoes, capers, olives and oregano. Some watermelon for dessert, coffee (and a little of that great amaro they have) – absolutely perfect. 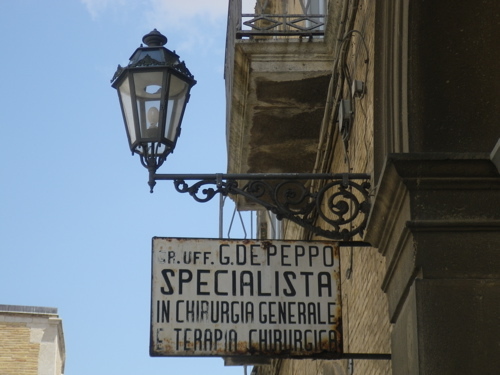 Really lovely place, I’d plan a stop in Foggia another time to eat there again. Then we got the train back to Rome, stuffed and very happy. 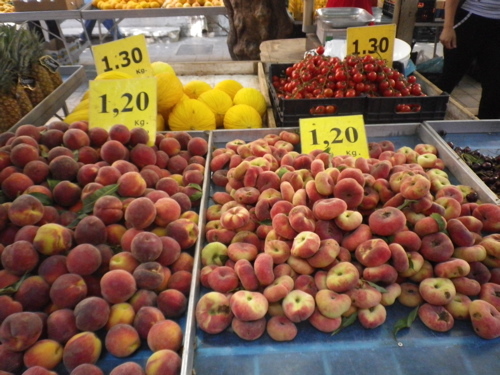 This entry was posted in food, Italy, travel and tagged food shopping, market, Puglia on July 5, 2013 by krumkaker. 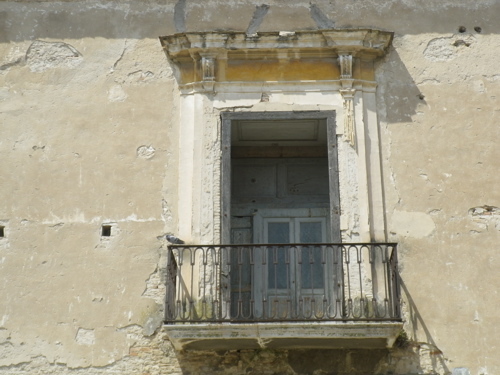 Lucera is an easy twenty minute train trip from Foggia, on Ferrovie del Gargano, and we thought it looked like a nice afternoon destination. Note: if taking the train, do NOT get off at the first stop marked Lucera. 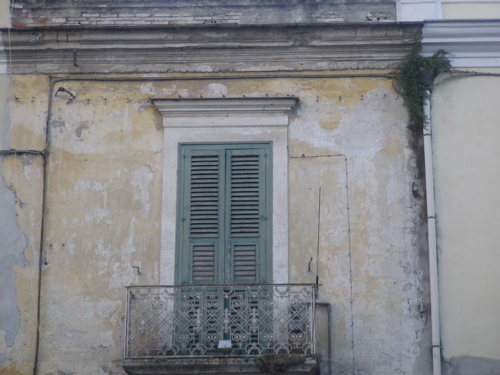 It looked deserted, but the sign did say Lucera…… ? No, it was a residential area. 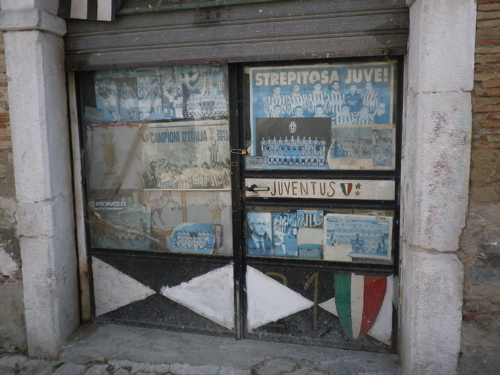 The actual Lucera station is a ten minute walk down a dusty street, we discovered. Oh well, we were in no rush, so on we strolled. 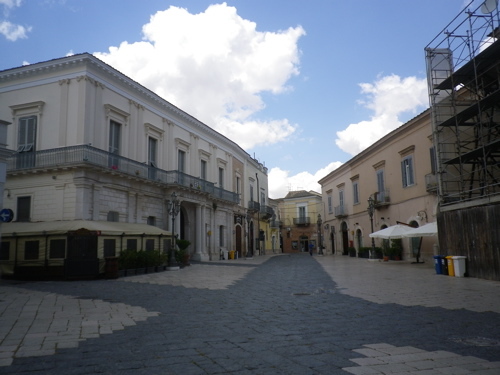 From the actual Lucera station, it is a slow walk up the hill to the pretty historic centre. So far, very quiet. 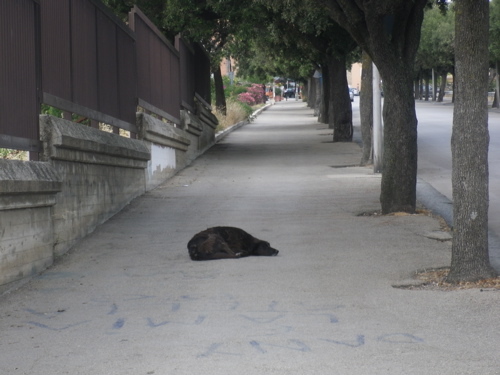 A couple dogs were asleep on the sidewalk. Cobblestone streets, people carrying packages of pastry, on their way on lunch, nice piazzas. Very promising. The tourist office lady was very sweet, but looked a bit concerned when we asked about lunch. Oh no, she said. Not really prepared for tourists wanting lunch on a Sunday…. But she marked the map with places that might be open (six out seven were closed) and we had a very nice light lunch in one of the few open places, an enopizzeria. By one thirty, the centre was deserted. The coffee bars had packed up, and everyone had gone home for lunch. 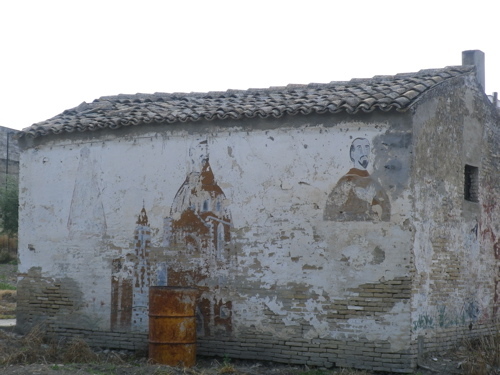 A small painted building near the amphitheatre. 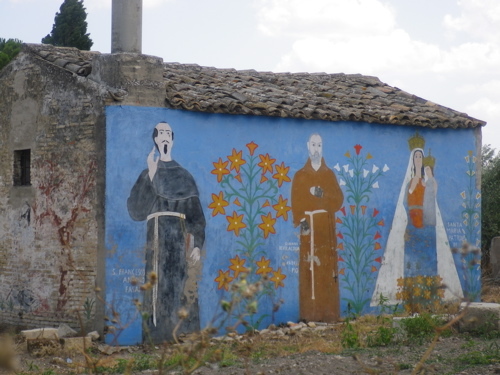 The Virgin Mary, Padre Pio and ….? Not sure. The amphitheatre was closed for lunch, of course, and we meant to wait. But we opted to keep strolling through the quiet streets, and look for coffee. Absolutely deserted, but quite pretty. All in all, a very relaxing and quiet Sunday afternoon. Then a train ride back to Foggia, which also gets very, very quiet mid-afternoon. 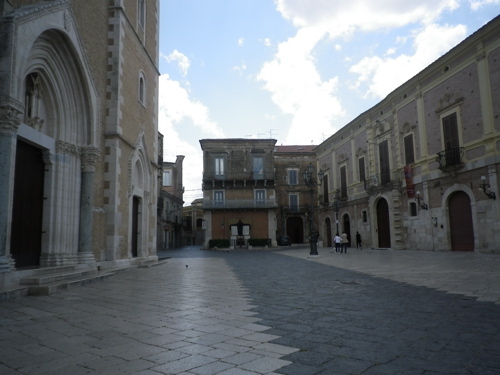 A few hours later, the Foggia streets and piazzas were teeming with families, couples, grandparents, kids, chatting and people-watching, going for a passeggiata and a gelato. Very lively, and quite an interestingly different ambience from Rome. 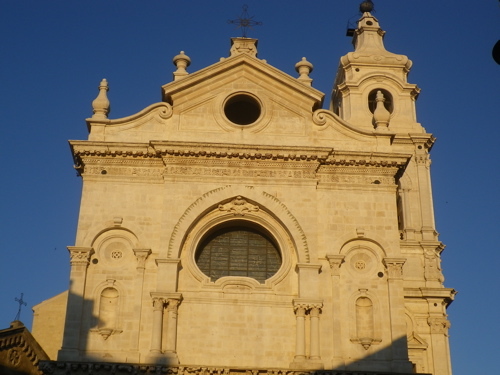 This entry was posted in Italy, travel and tagged Puglia on July 5, 2013 by krumkaker. 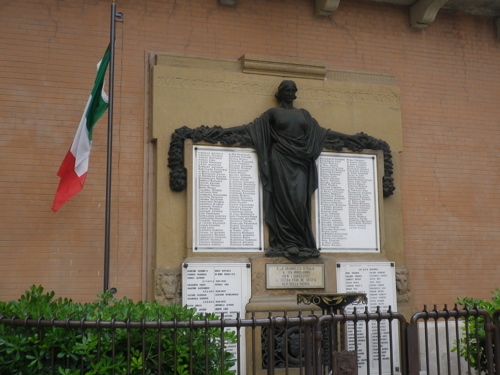 From Wikipedia: Foggia is the main city of a plain called Tavoliere, also known as the “granary of Italy”. 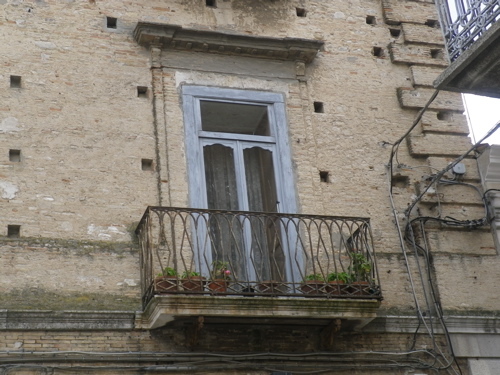 It is a communication and industrial center and the main wheat market of Southern Italy. 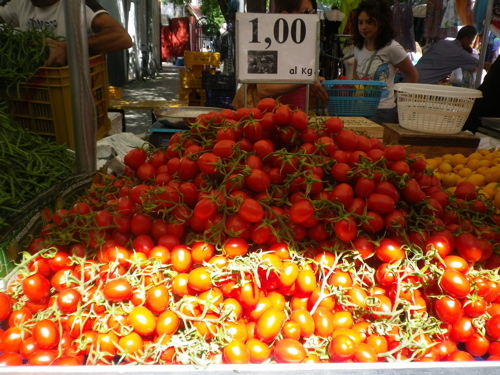 Foggia is famous for its watermelons and tomatoes. It seems to be a town people pass through, but do not necessarily travel to. We stopped there as it is less than three hours by train from Rome, not likely to have much foreign visitors but was supposed to be pleasant and have good food. It was much nicer than expected. 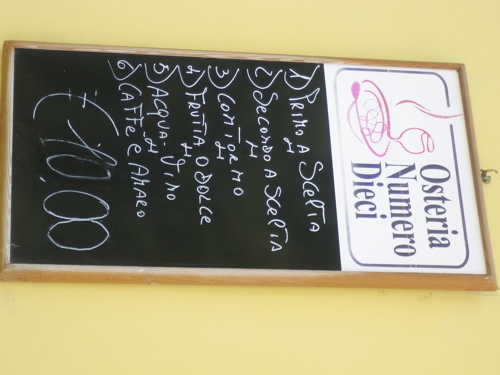 We had noticed people outside Osteria Numero Dieci, near the market, and managed to squeeze in. Excellent food. Antipasto with salumi and fresh ricotta, pasta with almond pesto, orechiette with finocchio selvatico, veal involtini, and fabulous homemade amaro, made with cherries, we think. 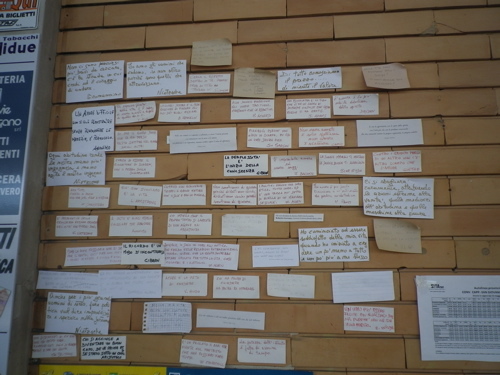 At Foggia station, outside the newsagent on the train side there is a wall with little notes and thoughts on the wall; I have no idea why. 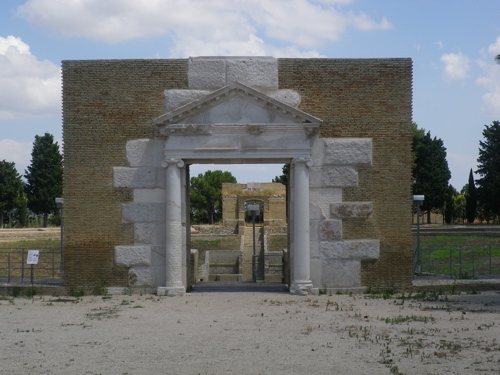 We bought our tickets, and went to Lucera for the afternoon.